Transmission service according to the manufacturer’s recommendations for your vehicle prolongs its life and also helps to prevent premature breakdown or costly future repairs. Call Rick’s Tire and Chevron to schedule recommended transmission maintenance to improve its performance, increase longevity, help provide smooth shifting, and to reduce potential component failure. 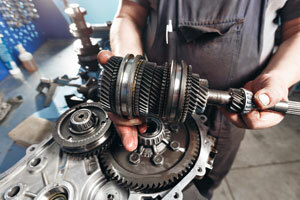 Regular transmission service can help avoid costly repairs and should be part of a regular maintenance schedule. Generally during regular servicing about one-third to one-half of the fluid inside the transmission is replaced and is adequate for a transmission that is regularly maintained. 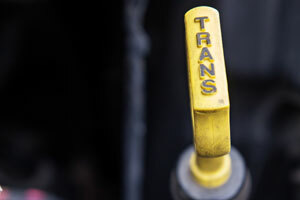 While there are many types of automatic transmission fluids on the market with each using its own blend of oils, chemicals and solids designed to provide the best lubrication properties, our certified mechanics use great care in their selection to ensure the correct type and proper amount is used for your vehicle. Stop by our service center to have your transmission level and the condition of your fluid checked! As one of the most important parts of your vehicle’s engine it is vital to keep the transmission operating at its optimal capability. A complete transmission flush service may be required if your vehicle is long overdue for service and maintenance. 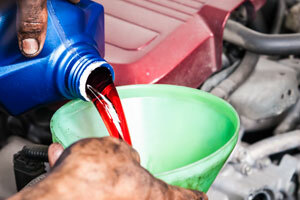 If you have maintained a faithful service program, simple drainage and replacement of the old fluid should suffice. To properly perform maintenance on modern transmissions we highly recommend having this work done by our certified mechanic.